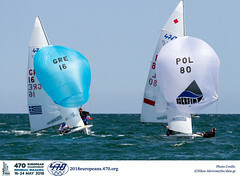 57 top 470 class fleets took part in this year’s edition aiming to prepare themselves for the forthcoming World Cup Series that starts in 5 days. The event was organized by Coconut Grove Sailing Club between January 19-21, 2019. The gold medals went to Greece and France. 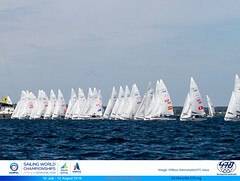 During the regatta the podium battles were tough especially for the second and third places. The Greeks, Rio’s 2016 bronze medalists Panagiotis Mantis/Pavlos Kagialis topped the leaderboard in Men's and claimed gold while Swedish duo Anton Dahlberg/Fredrik Bergstrom came second and Jordi Xammar/Nicolas Rodriguez from Spain third. 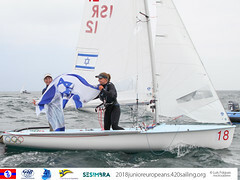 In Women’s category Camille Lecointre/Aloise Retornaz led the Women's division as they were consistent throughout the Championship and won gold with current world champions Ai kondo Yoshida/Miho Yoshioka (JPN) getting silver and German team of Fabienne Oster/Anastasiya Winkel took bronze.